Now that President Trump has made the controversial decision to recognize the holy city of Jerusalem as Israel’s capital, the U.S. State Department can call upon several Marine units if needed to boost protection for U.S. embassies in the Middle East. The Marine Security Augmentation Unit consists of about 120 Marine security guards, whom ambassadors, chiefs of mission or regional security officers can summon directly. “We have contingency plans in place, in the event that violence breaks out across our area of operations,” said U.S. Central Command spokesman Maj. Josh Jacques told Marine Corps Times Wednesday. The MSAU typically deploys in squad-sized teams, but in July 2016 more than 40 Marine security guards with the unit deployed to the U.S. Embassy in Juba, South Sudan, amid fierce fighting between rival factions. Marine security guards are stationed at embassies and are tasked with safeguarding classified material. As of May 2016, about 175 U.S. diplomatic facilities in nearly 150 countries were guarded by Marines. When U.S. embassies come under threat of attack, Marines can reinforce them with combat-equipped troops such as Fleet Anti-Terrorism Security Teams. Each FAST company consists of about 50 Marines divided into two platoons, Corps officials said. At any given time, four FAST companies are deployed to overseas location and between eight and nine FAST platoons are training in Virginia for upcoming deployments. The Corps also has sea-based units and land-based Special-Purpose Air-Ground Task Forces to quickly reinforce embassies and other diplomatic posts in the Middle East and Africa. 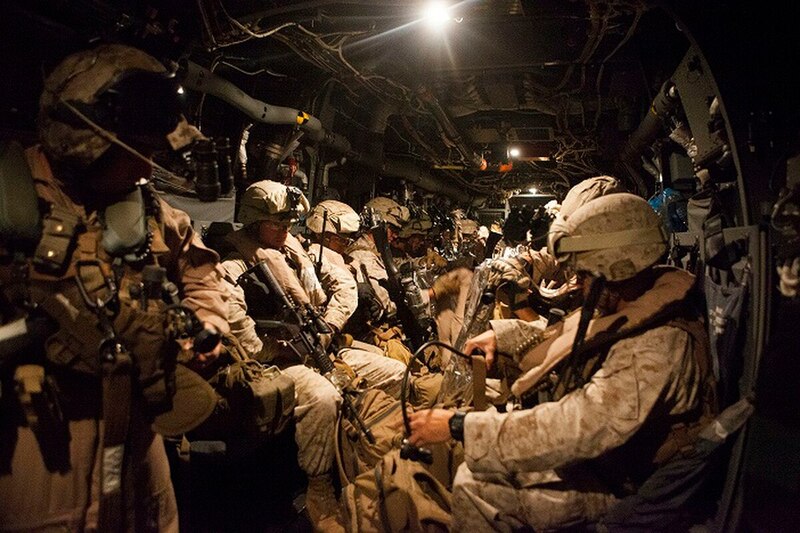 In July 2014, about 80 Marines from the Africa task force helped to evacuate the U.S. embassy in Tripoli, Libya. But all these Marine units are subject to the tyranny of time and distance. During the 2012 Benghazi attacks, it took 23 hours for FAST Marines based at Rota, Spain to arrive in Tripoli, Libya. Officials at both the Defense and State Departments have refused to say whether any additional Marines have already been sent to reinforce U.S. embassies ahead of Trump’s announcement on Tuesday. “Our Marine Security Guard Augmentation Units maintain a high state of readiness and can rapidly respond when called upon,” Jacques said.